The child custody laws in North Carolina pertain to the care of children who have not yet obtained the age of 18, or suffer from medical or emotional challenges. Child support deals with the financial obligation each parent has to the care of dependent children, and sometimes includes support for children over the age of 18. Child custody and child support in North Carolina are distinctly separate legal issues. The North Carolina laws governing child custody, called statutes, define legal terms like legal custody, physical custody and visitation. The statutes also provide guidelines for courts in awarding or removing these rights and in structuring and scheduling of custody and visitation between parents and their children. Much of the fear and uncertainty for parents embroiled in divorce revolves around the welfare and custody of their children. In almost every case, these emotions stem from not only a parent’s desire to do what is best for their children, but also from an equivalent desire to maintain the full benefit of their relationships while dividing family schedules with another parent. In North Carolina, parents involved in divorce proceedings are given many opportunities to find creative solutions and quell those fears through private mediation and negotiated settlement before a trial for custody or support takes place. While statistics clearly show creative agreements help divorcing parents have longer lasting outcomes and a higher rate of success than those imposed by court ruling, we have found that issues surrounding custody of children are the most emotionally sensitive, and the most highly combatted of all the issues in a divorce. Some cases are so complex that parents are not able to resolve issues surrounding custody and visitation for their children. Significant issues often narrow parents’ abilities to agree on custody matters including the changes that come with divorce: relocation, change in work hours, lifestyle choices that differ from those practiced during a marriage, and significant personalities that appear in one or both spouses’ lives following separation. When a trial of a custody dispute is necessary, judges have broad discretion over custody awards. In considering the best interest of the child, fundamental concerns factored into a judge’s decisions might include significant family circumstances and history, like domestic violence, anger management issues, addictions and mental health. The best interest of your children from the court’s perspective will be the foundation of any custody ruling. A judge can award legal custody, physical custody or visitation rights, and can set permanence or length of time for his ruling. Avoiding trial on custody issues through the use of tools like mediation is the most efficient and least costly course of action. 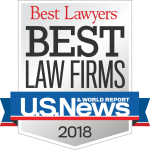 When this solution-oriented and efficient approach to resolving family disputes through negotiated settlement is unsuccessful, the family law attorneys at Gum, Hillier & McCroskey are primarily trial lawyers. North Carolina has created forms for calculating child support that look similar to something from the IRS, though not as complicated. The guidelines are so specific that a parent’s child support obligation or expectation can be calculated with reasonable certainty in almost every instance. As with all the issues involved in your divorce, creative resolutions through mediation provide parents an opportunity to create agreements that may be of greater benefit to their children and the function of the family than statutory guidelines may permit. With that said, it is not uncommon for parents to seek additional consideration where child support issues are concerned. Irrespective of the statutory guidelines, courts maintain discretion to award larger or lesser amounts of child support, depending on the family’s individual and unique circumstance. If you are a parent seeking modification of custody or child support, you will find more helpful information in our Modifications and Support section.